Image (L-R): Members of research team, Dr N Raghuram and Narendra Sharma. New Delhi: Excessive use of nitrogen, phosphate and potassium based fertilizers is causing environmental contamination and abuse of fertilizer subsidies. Now Indian scientists have identified rice cultivars that are efficient in nitrogen use. The study also shows that excess of nitrogen compounds such as urea and nitrate in the soil can increase the time required for germination of rice seeds and also limit their root length. The study has been published in journal Frontiers in Plant Science. 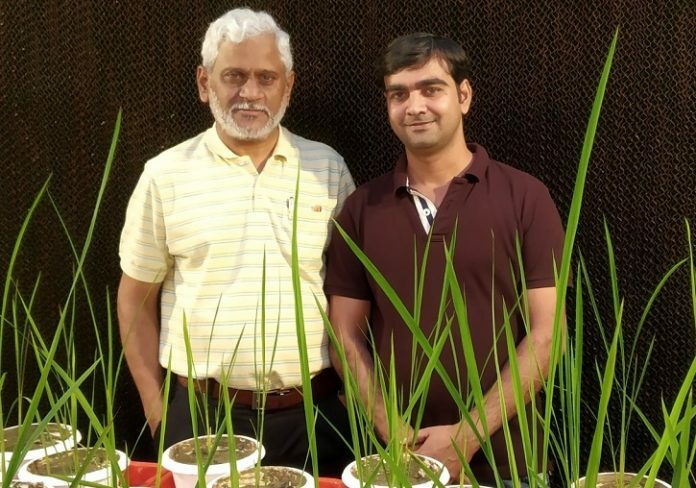 Researchers surveyed 21 rice varieties and categorized them as slow (Panvel 1, Triguna and Vikramarya) and fast (Aditya, Nidhi and Swarnadhan) based on time they took to germinate. It was found that all varieties take longer to germinate in soils supplemented with additional nitrogenous compounds. However, the magnitude of delay is more for slow germinating varieties as they are more ‘nitrogen responsive’ and effectively utilize nitrogen compounds. In addition, slow germinating varieties (long duration varieties) gave better yields when not supplied with additional urea relative to fast germinating varieties (short duration varieties). Also, at the lower levels of the nitrogen, longer duration varieties showed lesser yield losses as compared to short duration genotypes possibly due to their better nitrogen use efficiency. “Our study shows that in laboratory conditions, excess of nitrogenous compounds such as nitrate and urea restrict root growth. In future, we would like to extend our work to field to check if similar patterns exist there as well,” explained Dr N Raghuram, Professor at Guru Gobind Singh Indraprastha University and a member of the research team. “This study is important as it suggests that integration of crop varieties that demonstrate nitrogen-use efficiency will lower fertilizer load in fields and environment. In addition such varieties can be grown efficiently in marginalized lands for increased production,” commented Dr Anandita Singh, Professor at TERI School of Advanced Studies, who is not connected to the study. 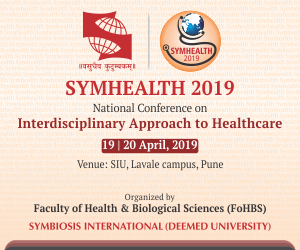 The research team included Narendra Sharma, Vimlendu Bhushan Sinha, Neha Gupta, Soumya Rajpal and N. Raghuram (Guru Gobind Singh Indraprastha University); Surekha Kuchi (Indian Institute of Rice Research, Hyderabad); Vetury Sitaramam (Former professor, Savitribai Phule Pune University) and Rajender Parsad (Indian Agricultural Statistics Research Institute, New Delhi). The study was supported by the Indian Council of Agricultural Research and the Department of Biotechnology.